IT’S THE CONSTRUCTION MODELLING SOFTWARE WHICH EVERYONE IS TALKING ABOUT BUT IS THE DIFFERENCE BETWEEN CAD AND BIM REALLY BLACK AND WHITE? HERE CALUM FISCHER-KEOGH EXPLAINS WHY BIM REPRESENTS THE BEGINNING OF A NEW ERA FOR THE INDUSTRY. Last week I finally managed to see “The Artist”. There’s always a risk of disappointment when a film is surrounded by so much hype and the reality doesn’t quite match the marketing & glitz. Thankfully this film lived up to its expectations; it was funny, poignant and stylish. The rarity of a silent movie in the 21st century is partly its attraction, some 80 years after their original demise. It wouldn’t have the same impact if every other film today was silent. Despite its success, I don’t expect there will be a rush of similar films without sound; its novelty is partly its attraction. If you don’t yet know the plot, “The Artist” follows the fall and rise of George Valentin, a silent film star. Despite being the biggest star of his day, the advent of sound is a threat he doesn’t take seriously. He turns down the opportunity to star in a ‘talkie’ and continues making silent films; he’s at the top of his game, and it’s him the crowds come to see, or so he thinks. Before long we see there is only a thin line between success and failure, and George’s star wanes as silent films are seen as yesterday’s phenomenon. In a final throw of the dice, he finances his own silent film which flops as it can’t compete with the latest talking movie with a new star; Peppy Miller. To add insult, Peppy was once just an extra in George’s silent movies. George is yesterday’s man, and no matter how successful he has been, he can’t live in the past and his days as a silent star are finished. Of course in typical Hollywood style there is redemption when George, with the help of Peppy Miller, reinvents himself by making a talking movie together, and once again is in demand. I enjoyed the film at face value; a story of the new taking over from the established order. A mistrust of change resulting in the demise of both silent films and their stars. The fall of the powerful, re-evaluation and finally redemption. As much as it was enjoyable, I saw it in a completely different light after reading a spoof review by architect Randy Deutsch, which has made me see “The Artist” in very different terms. Deutsch changes the title of the imaginary film he is reviewing to “The Architect”, and then describes an almost identical plot, substituting architects for actors, CAD for silent movies and BIM for talkies. It becomes both a humorous and illuminating comment on the role of new technology and the architectural profession. For it to be set against a backdrop of the biggest financial and economic crash in a generation is almost uncanny. In “The Architect” George Valentin is now a CAD based starchitect at the top of his profession, Peppy Miller the new up and coming starletchitect who learns BIM. On witnessing his first BIM model, he dismisses it: “If that’s the future, you can have it!”. As the demand for her skills grow, George finds his shine is diminished. George discovers public opinion doesn’t value him any longer. The decision of his studio to drop producing CAD documents makes him even more determined to succeed in what he knows best. He opens his own office to continue working in CAD. His project is submitted on the same day Peppy Miller submits her new BIM project, and the result is not good for George. Of course it’s only a matter of time before Peppy becomes a major 3D starletchitect. Fortunately there is a happy ending as Peppy invites George to form a partnership using BIM & once again he is a success. While obviously being a spoof review, Deutsch’s reworking of “The Artist” plot is a simple way to bring home the choices we must deal with in architecture through the ‘new’ BIM technology, while appreciating what is happening with the ‘old’ CAD technology. Sometimes describing a similar storyline or concepts in a different context can help clarify our understanding of the situation. The struggles between the established order and new technology and ways of doing things recur throughout history in many areas. Paul Morrell, the government’s chief construction adviser points out that in the electronics industry not a single valve manufacturer survived the arrival of the transistor! The same dilemmas and the same result where there is inability or unwillingness to react. It’s up to us what our response is to BIM. We can ignore it, put off committing until ‘the right time’, or make the effort to understand how we can best use BIM technology based on facts, not hype. It’s our decision whether we maintain our use of old CAD technology, or use the new BIM technology. Will we be like George Valentin, creating a new path to success? While I recommend going to see “The Artist” if you haven’t already, I also recommend reading Deutsch’s ‘review’ of “The Architect”. Like all the best films, you’ll laugh, you’ll cry.....More importantly, it may help clarify the pressing need to adapt to the changes that BIM brings to the established order. “The Architect” available at www.tinyurl.com/87bgw8w. Popcorn is optional! centre for architecture and the built environment. 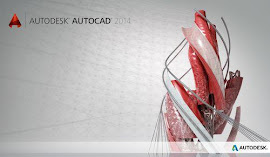 implementing CAD and BIM solutions.